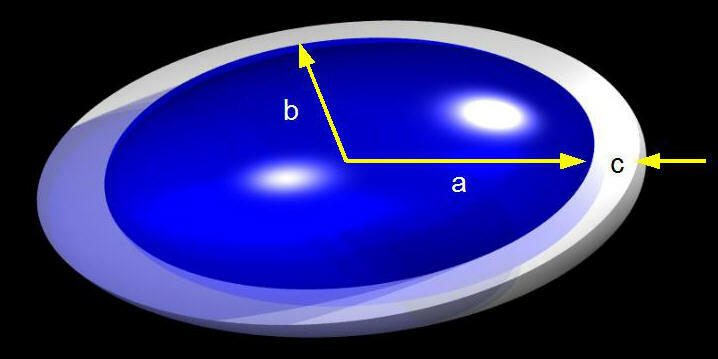 Many pigment particles are not spherical, but rather elongated (like a football). The mathematical term for this shape is a prolate ellipsoid. For calculation for a sphere enter the same radius for a and b.